CHAPTER VI. What Have Socialists to do with Capitalist Wars? This pamphlet was written in 1914 during Trotsky’s two month stay in Zurich. He had arrived there rather hurriedly from Vienna which he left on the evening of August 3rd, the day Germany declared war against France. It was published serially in Russia in Martov’s Paris paper Golos from November 1914 onwards. Issued in German under the title Der Krieg und die Internationale, it earned him a prison sentence in absentia in Germany. This on-line edition contains Lincoln Steffens’ introduction to the American Edition, a note by Trotsky on the history of this booklet, The Zimmerwald Manifesto and his Open Letter to Jules Guesde. In addition this version follows in structure a 1971 uncopyrighted edition published by Wesley Press for the British Young Socialists which in turn follows the Boni & Liveright publication. The Wesley Press edition was entitled only The War and the International since the Young Socialists wanted to to use the orginal name of the document and Trotsky was not a member of the Bolshevik Party in 1915. 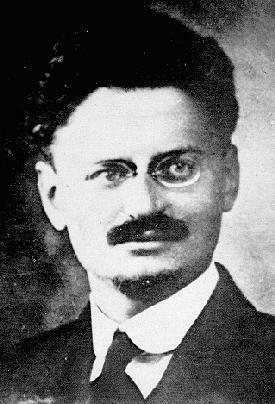 Trotsky’s own notes flow throughout the text, are in a slightly smaller print size and colored in a dark maroon so as to easily distiquish it from the document as a whole. This on-line version of The War and the International is broken up into 3 parts, each approximatly 100K in size to facilitate the downloading from the World Wide Web to your computer. Each section, while containing only those referenced footnotes (all footnotes references are linked to the actual footnote for easy accessibility) from the Wesley Press edition, also contains a glossary (also linked) of names tailored for each of the three parts of this document. Lastly, each of the three Parts to The War and the International has a complete table of contents for each individual chapter.